ASEAN countries have committed themselves to the implementation of two parallel but interrelated processes: the ASEAN Community Vision 2025 (ASEAN Vision 2025) and the United Nations 2030 Agenda for Sustainable Development (2030 Agenda). From the outset ASEAN Member States underlined the complementarity of these two agendas in their efforts to uplift the standards of living of the region’s peoples. 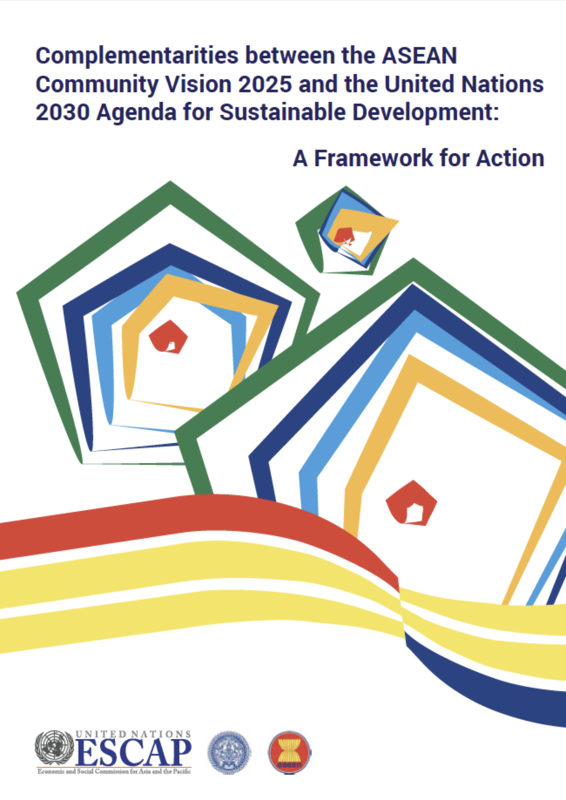 This report identifies major complementarities between the ASEAN Vision 2025 and the 2030 Agenda, assesses progress for the implementation of selected areas of complementarity and provides a menu of options to implement the two agendas in an integrated way. Analysis in this report shows that ASEAN Member States have made notable progress in promoting economic, social and environmental advancement. In order to maintain this progress and to meet the Vision 2025 and the 2030 Agenda ASEAN countries will need to accelerate efforts. The report shows that one of the best ways to achieve this is to focus on the complementarities between the two Agendas. The report identifies five priority areas of complementarity to help focus interventions and proposes seven flagship initiatives that could support concrete action to efficiently draw on limited resources and to deliver high-impact and inclusive benefits across a broad range of sustainable development priorities.